St. Louis Closet Woman-Owned | About Us | Saint Louis Closet Co. Anyone would agree that good organizational skills are a fundamental qualification for starting your own business. 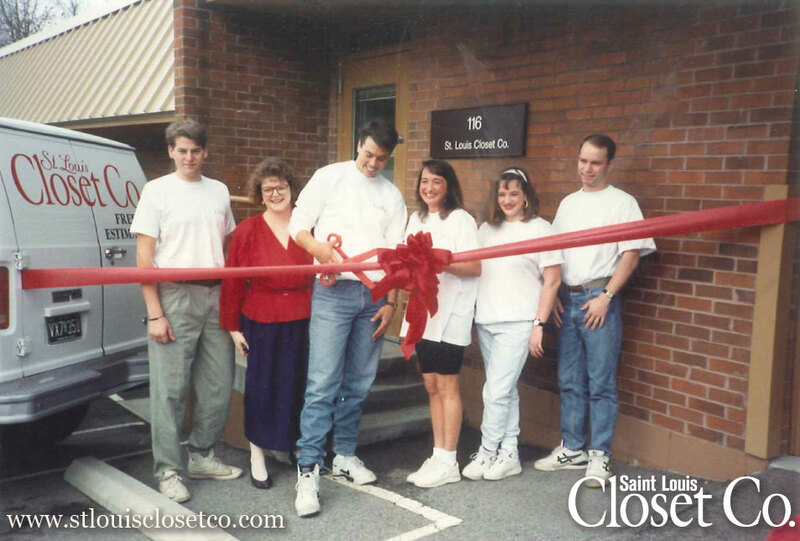 And in 1991, Jennifer Quinn Williams did just that, opening the doors of Saint Louis Closet Co., the first locally–owned St. Louis closet company that installed custom organizing systems crafted to stand alone (floor-based) and fit the exact dimensions of a customer’s closet. That November, she decided to try her luck at a start–up loan. Jennifer’s tenacity paid off and she received a call from the loan officer that the SBA and the Bank had approved a loan for $35,000. What about the additional $15,000 she needed? Jennifer just forged ahead; trusting that early sales of her new closet systems would bring in the balance of money necessary to stay in operation. They did. So, at the ripe old age of 25, Jennifer had not only graduated from Saint Louis University and begun graduate school, but she also had begun to set up and operate her own business. That first year would realize $236,000 in sales, an amount that has been exceeded by over 2500% in 22 years. Jennifer and her husband Matt and their children Hallie and Matthew. 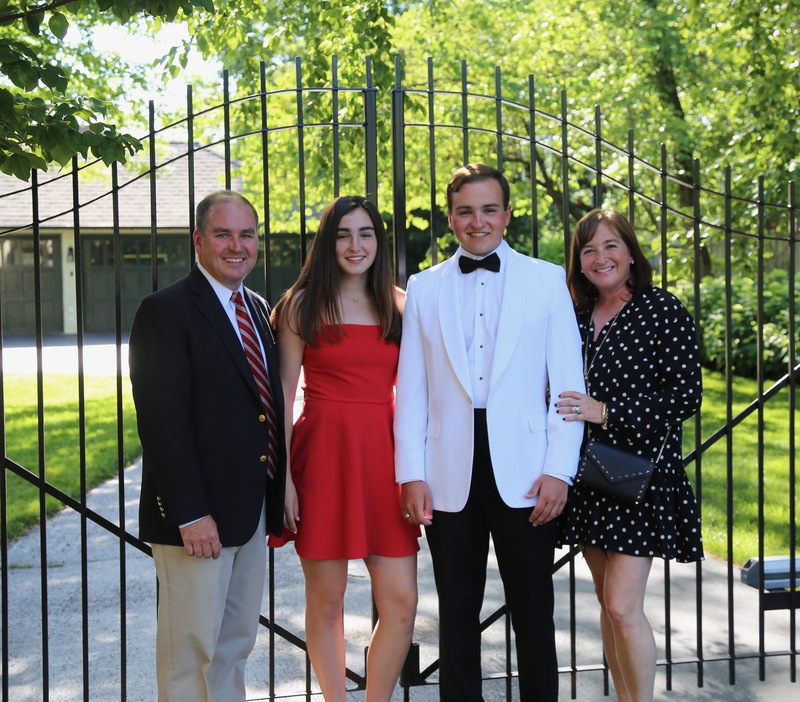 Jennifer’s hometown connection makes a difference, especially when it comes to the company’s charitable and civic endeavors. Jennifer’s list of involvements is already an impressive one. She’s donated to her local alma mater KHS, and Saint Louis Closet Co. has installed closets at The Magic House, Glendale Lutheran, St. Peter’s Catholic Church, Forsyth School, Our Little Haven and Friends of Wings. Jennifer is involved with and has supported Children’s Hospital, Fontbonne University, St. Louis University, Forsyth School, John Burroughs School, The Maplewood Betterment Foundation, The Kirkwood Public Library, Juvenile Diabetes, Girls on the Run, Our Little Haven, Ready Readers, The Susan G. Koman Foundation and the The Leukemia Foundation to name a few. Jennifer is proud of the product Saint Louis Closet Co. offers. “We have a unique system,” comments Jennifer. “Where many other closet companies hang closet organizers on existing walls – a practice that is not as secure or as adjustable as our product, we provide a safe, floor–based closet system built of our thermo-fused laminated (TFL) shelving that is totally adjustable from the floor to the ceiling,” says Jennifer. “You have the ability to adjust, add or subtract from your closet system at any time.” By offering a variety of thermo-fused laminate (TFL) colors, Saint Louis Closet Co. is not just limited to the closet. Murphy Beds, Laundry Rooms, Playrooms, Lockers, Craft Centers, Garages, Pantries and Home Offices are all products offered by the company. All the closet systems are designed, manufactured, and sold out of her 30,000 square foot headquarters in Maplewood with its state–of–the–art machinery, which allows the company to make its own product 100% custom.